Thursday was an unique day in Southeast Texas, as it actually snowed! It stuck too, which made for some classic holiday scenes that we don’t see too often. We decided to take a video of one of those snow scenes. You can watch that video, and a few others, on our new YouTube channel. We’ll try to stock it with more videos down the road. It’ll be another cold one tonight, so take a look at our winterizing article. And for those of you who have had your fill of winter, don’t worry, it’ll be 70 by Monday. 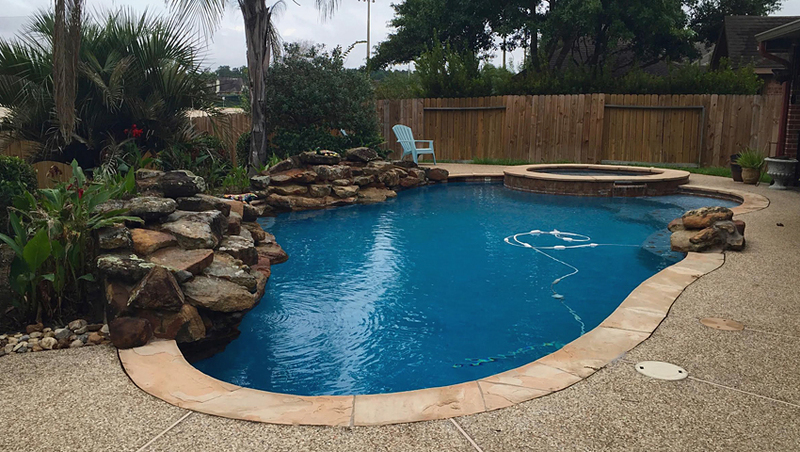 Since we started building pools in 1999, Ultimate Pools has strived to be one of the best pool builders in Southeast Texas. It seems that work is getting recognized online. 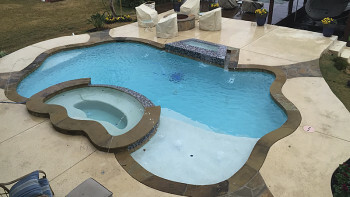 Two online business ratings companies, The Prime Buyer’s Report and Nextdoor.com, have rated Ultimate Pools among their top 10 pool builders in the Magnolia area and greater Montgomery County. They’ve come to these conclusions using different methodologies. While Nextdoor.com relies on direct online reviews from customers, The Prime Buyer’s Report utilizes phone-call surveys, along with research into licensing and business practices. Their methodology is outlined here. We appreciate both companies for their approaches and for recognizing the work and effort that is the bedrock of our business. Don’t take our word for it, though. 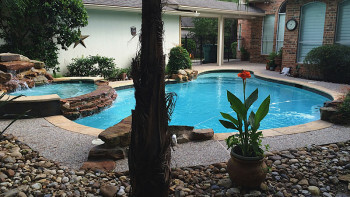 Here are the links to the Prime Buyer’s Report and Nextdoor best pool builders lists for Magnolia, The Woodlands, Conroe, Montgomery County and Southeast Texas. On November 4, 1991, Bryan and Deborah Stuart set into motion what is now Ultimate Pools today. We are celebrating the 25th anniversary of the start of A Total Coverage. 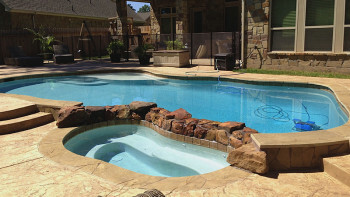 A Total Coverage is the outdoor improvement wing of What’s Next Inc. and Ultimate Pools. The start of A Total Coverage was a humble one, as the Stuarts and their children hand-delivered fliers to get the word out about A Total Coverage’s sprinkler and irrigation systems. The business expanded into products and services such as landscaping, lighting, fencing and outdoor kitchens, and we were incorporated into What’s Next Inc. in March 1993. 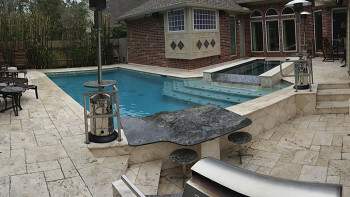 From there, the business has expanded into pool building, which is the foundation of what we do now. But this isn’t a history lesson and, don’t worry, there won’t be an anniversary test. If you want one of those, check out the history page and read up. Instead, we’re thankful that we’ve been able to last for 25 years as a small family business and we are gracious that you have allowed us to be part of your community. 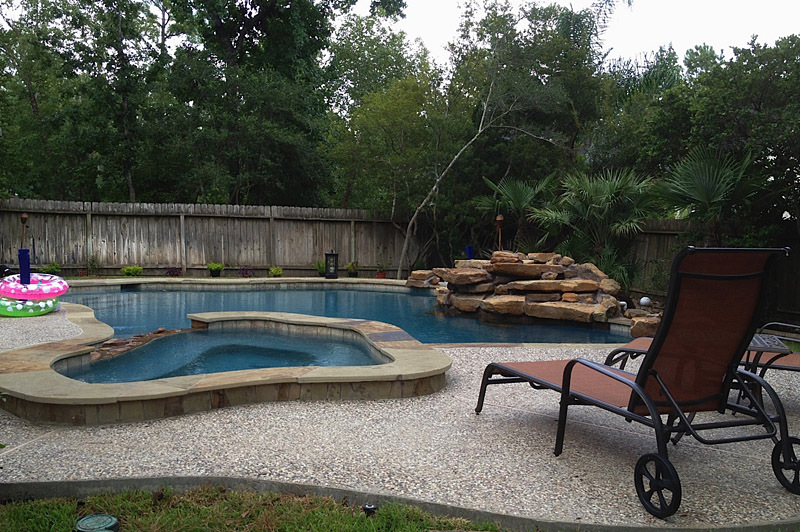 We enjoy working in Montgomery County, Harris County, Greater Houston and Southeast Texas more than you know. So, once again, thank you for being part of our silver anniversary as a company. We are proud of the 25 years that we’ve been in business and can’t wait for several more! We’d like to thank Sherri Bisono for this picture, which was taken at a recent Shenandoah Sharks swim meet. 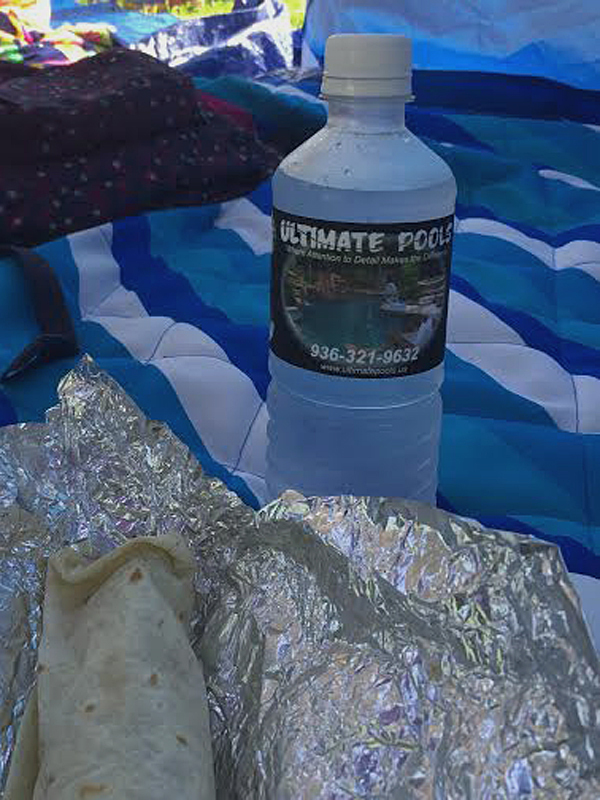 Next time you are around town at a fundraiser and you see Ultimate Pools water for sale, pick one up. It’s the perfect garnish for your favorite breakfast burrito. While we are proud of all the organizations we sponsor and provide water for, the Shenandoah Sharks are an organization that Ultimate Pools has had the longest relationship with. Not only have we been affiliated with the Shenandoah Sharks since 2004, two of our children have swam in the program. Our daughter Bryanna swam and coached with the Sharks, while our son Nicholas swam for the team. The Shenandoah Sharks have been an award-winning summer league swim team for children ages 4-18 in The Woodlands, Shenandoah, and Spring — along with areas along FM 1488 and FM 242 — since 1973. The Sharks have been the home of thousands of young South Montgomery County swimmers since their founding, giving them a safe, fun recreational and competitive environment in which to swim and grow. The Shenandoah Sharks compete in the Northwest Aquatic League, giving their young swimmers a chance at fun competition. The season started last weekend with a meet against The Woodlands Marlins, and the Sharks will jump in the pool again Saturday against the Oak Ridge Otters. They’ll have several more meets before concluding the season with a divisional meet later this summer. The Sharks also use their swim meets as an opportunity for their swimmers to qualify for “invitational” meets against some of the fastest swimmers in the region. But the swimming excellence of the Shenandoah Sharks isn’t the only reason why we sponsor their organization. The Sharks also are a visible contributor to the community, raising money for charitable organizations at their annual Swim For Sharks event. In 2013, the Sharks raised $1,500 for The David Center at the Texas Children’s Hospital (an event Ultimate Pools humbly supports) and raised $2,300 for the Hemispherectomy Foundation last season. This season the Sharks will be swimming for Kindness Matters in honor of Peyton A. James. Ultimate Pools is proud of its decade-plus-long relationship with the Shenandoah Sharks and hope it continues for many years to come. For more information on the Sharks, click on the link to their homepage in the opening paragraph and visit them on Facebook!